Dr Clark is very knowledgeable and professional about what she does. She is also great at explaining things in a way that I can understand. I’m very well pleased with my visit. I definitely will be coming back. Dr. Clark is very, very professional. Dr. Clark is very concerned about my health. Dr. Clark takes the time to listen to you and she does not rush through the medical appointment. I am very pleased with Dr. Clark. I recommend Dr. Clark to my friends. She is very easy to talk with. She is very attentive and thorough when examining my medical history and linking them to any concerns that I may have. 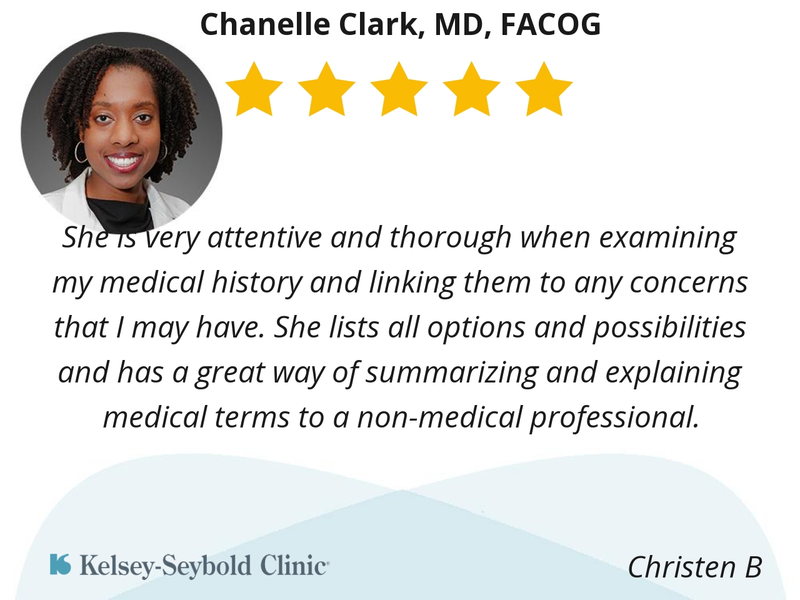 She lists all options and possibilities and has a great way of summarizing and explaining medical terms to a non-medical professional. She is patient and thorough. I never feel rushed. She is positive and precise. Very friendly and pleasant every time I meet her. Dr. Clark is very respectful, easy going, and pleasant. She makes you feel comfortable and explains everything you need to know. I would definitely recommend her to family and friends. I absolutely loved her! She made my visit worth the wait. It was emotional, special, and everything you could ask or pray for when meeting your new baby for the first time. I can’t wait to begin this journey with her and her awesome team of they nurses they made my family and I feel so comfortable like we were their only patients on the floor. She is very friendly, easy to talk with about health & my life. She's very caring & her staff is awesome. I've never experienced a grumpy attitude from any of the staff. I believe that comes from them being happy at their job & from their leader Dr. Clark. I'm Dr. Clark's patient for life.